Background: When you measure five-foot-eleven and weigh 184 pounds, you are about average size, if not small for an NFL cornerback. To play free safety at that size is improbable, leaving you at a disadvantage. Someone forgot to tell Tommy Myers, the hardest hitting defensive back in New Orleans Saints history. Only Sammy Knight would compare. Myers left pieces of his body all over NFL playing fields, demolishing NFL tight ends and wide receivers on a regular basis while knocking himself out (literally) with his reckless abandon for launching himself at opponents. The hits Myers levied on others are legendary and many would be personal fouls in today's NFL. The result was that Myers only played 16 games three times in his 10 seasons with the Saints. Myers played in 136 games, 20th most in franchise history. His 36 interceptions rank second in the team's history and his 621 yards of interception return yards are easily first in team history. Even as the Saints floundered, never posting a winning season, Myers was tremendous, posting five interceptions in 1975, six in 1978 to rank sixth in the league, a career-best seven in 1979, third best in the NFL, and five in 1980 in his best seasons. His tremendous instincts allowed him to recover 15 fumbles, second best in team history, and he forced five fumbles. He returned two of his fumble recoveries for touchdowns. Greatest Moment: It was the season opener in 1978 against the high powered Minnesota Vikings with Fran Tarkenton, Chuck Foreman, Rickey Young, Ahmad Rashad and Sammy White. It was a shootout in which Tarkenton passed for 282 yards and two scores but it was not enough, thanks to Myers. The star safety picked off three passes from Tarkenton, including one which proved to be the game winner. With the Saints leading 24-17 and the Vikings were at the New Orleans 10-yard line, closing in on a game-tying touchdown. 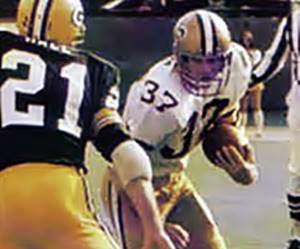 Myers had other ideas, picking off Tarkenton and returning it 97 yards for a touchdown as the Saints won 31-24. 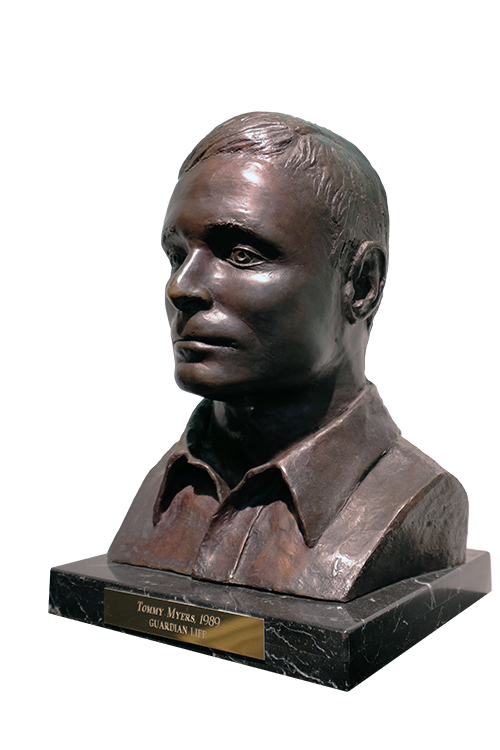 Honors: Myers was inducted into the Saints Hall of Fame in 1989. He was named first team All-Pro in 1979 and earned Pro Bowl honors the same season.